Qatar is one of the fastest growing countries in the world. It is rapidly acquiring a reputation as a family-friendly country. This is one of the reasons why many visitors, investors and expats are choosing to move with their families to the country. And with the impressive growth and development that the country is witnessing, especially when it comes to investment opportunities, more people are choosing to call Qatar their home. And even though the government is developing new areas in the country every day, especially now that it prepares to host the FIFA 2022 World Cup, the capital, Doha, remains a favorite for many occupants. Doha is the most populous city in the country; it remains the first choice for residents who want to find a home in Qatar. Doha is the financial and tourism hub of the country, with most of the major businesses and offices situated there, in addition to malls, restaurant, cafes and hotels. Properties in Doha are always on the rise, especially with the huge number of new developments constantly constructed in the city. One of the most popular areas in Doha is Al Thumama. Al Thumama is an established neighborhood in Doha. The area is one of five sites for the government-sponsored project to develop reservoirs in Qatar. Strategically located in the heart of Doha, Al Thumama is situated close to Old Airport area. Properties for rent in Al Thumama are widely sought after because the area enjoys a central location in the capital and features many services. 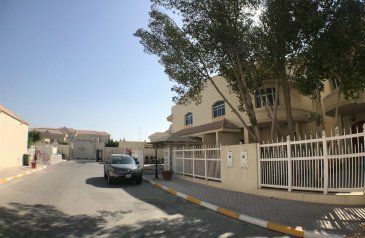 Properties for rent in Al Thumama are well liked by families, as the neighborhood offers easy access to numerous good schools and excellent nurseries. Properties for rent in Al Thumama are also very popular among young professionals as the area features numerous entertainment facilities including malls, restaurants and cafes as well. Moreover, properties for rent in Al Thumama are considered among the more budget-friendly options in the country. You can find all sorts of residential properties for rent in Al Thumama, ranging from cozy studios to comfortable apartments to spacious villas. Furnished, semi-furnished and unfurnished properties are available in the neighborhood. You can also find many commercial properties for rent in Al Thumama. 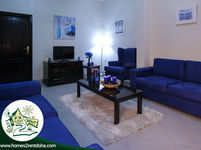 Why choose to rent a property in Al Thumama? Al Thumama is an established neighborhood in Doha; it features excellent amenities, amazing facilities and first-rate infrastructure. It is one of the most popular areas with families when choosing a home in the capital. As properties for rent in Al Thumama make a wonderful home or an amazing place for business in the heart of Doha, they also come at an affordable price range. Properties for rent in Al Thumama are the perfect option for anyone looking for a great affordable property in Qatar.